If you're concerned about sagging face and neck muscles as you age, jowl exercise may be able to help. Facial and neck exercises that target the jowl area have shown some contribution to tightening these muscles and lifting the skin. The word "jowls" refers to the lower jaw and in particular the flesh beneath the jaw. As people age, the muscles of this area lose tone, causing the skin, muscles and any accumulated fat in the area to droop. If drooping jowls are a concern, there are things that can be done to help tighten them again. Plastic surgery is one option, while jowl exercise is another. 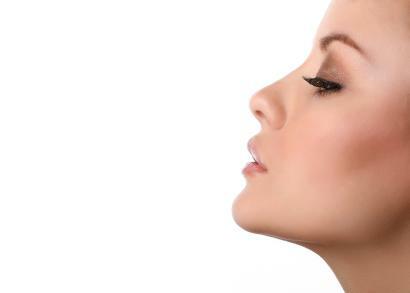 Jowl exercises target the muscles in the cheeks, chin and neck to help tighten and firm them. The act of exercising these areas can also help increase blood flow to the surrounding areas, which can help rejuvenate the skin's appearance. There are several different exercises that target these areas. This exercise is aimed at the area beneath the chin, and is thought to help eradicate the look of a "double chin". Sit upright, with your chin pointed toward the ceiling, until you can feel a very slight stretch in the neck muscles. Make a chewing motion with your jaw 20 times. Rest and repeat. Sit upright, with your chin pointed toward the ceiling. Purse your lips and elongate them toward the ceiling. Hold for five seconds and relax. Repeat up to five times. Sit upright, with your chin pointing at the ceiling, with your lips together and relaxed. Extend your lower lip and move it up to cover your upper lip as much as possible. Hold this position for five seconds and relax. Repeat five times. Sit comfortably with your face relaxed. Keeping your lips together, raise your upper lip toward your nose as if you were puckering only the top lip. Pull the corners of your lips upward in a closed-lip smile to feel the muscles along your jowls and jaw line clench. Hold this for 10 seconds and relax. Repeat five times. Sit upright and tilt your head back so your chin moves toward the ceiling. Push your lower jaw forward and upward, so it extends toward the ceiling even more. Hold this position for 10 seconds and relax. Repeat five times. Like every exercise, the effects you will see to your jowls and jaw line are cumulative; the more you exercise your jowl area, the better the results will be. These exercises are recommended to be performed every day for three to four weeks. After this time period, they can be performed three to four times a week, like most exercises. Because these exercises don't require any special equipment and can be done anywhere, they can easily to fit into your daily lifestyle. Simply perform these routines while taking a break at your desk, or sitting on the side of your bed as you enter or exit it. While jowl exercises may not be the perfect anti-aging remedy that many people are after, they can help to improve the look and feel of your jowl area, neck, cheeks and skin. Combine them with regular, total body exercise and a healthy diet to achieve the best results. Give these exercises a try and you may start seeing results in a few short weeks.